This week, it’s all about the Netherlands and most of you will be familiar with this very classic recipe if you’ve ever been there. These Poffertjes (I’m glad I only have to write this word rather than say it!) 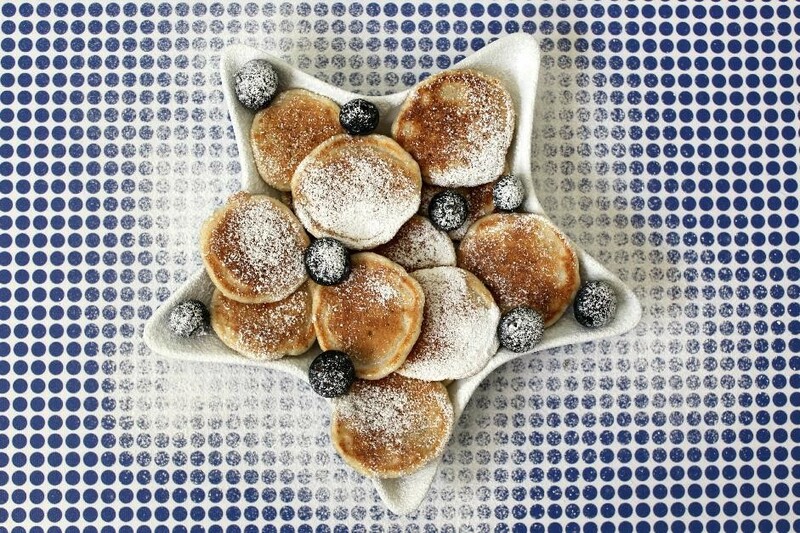 are basically mini pancakes dusted with plenty of icing sugar but the batter itself isn’t sweetened. They’re usually cooked in a traditional Poffertjesplaat, a big pan with round dents in it, but of course you can do without. The trick is just to make sure you use a teaspoon when you put the batter in the pan to make sure the pancakes are small enough. Otherwise, easy peasy! 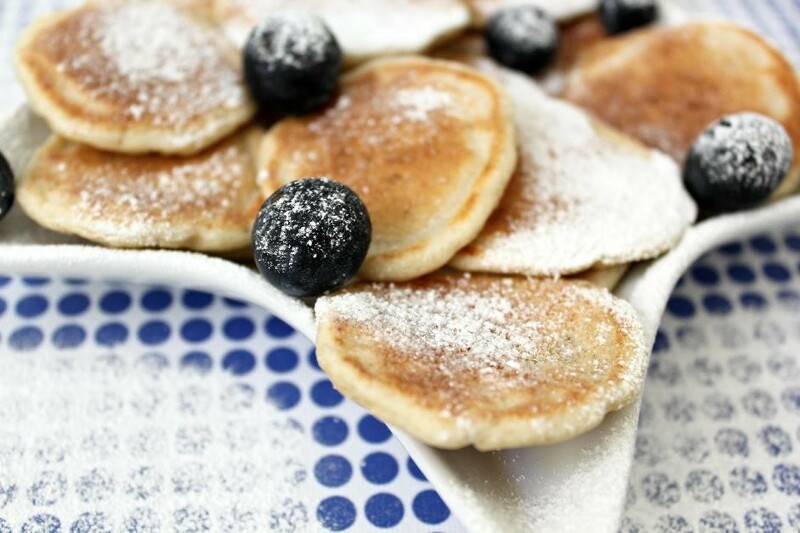 These pancakes are usually served with a little butter and icing sugar. But they're also great with maple syrup, fruit compote or cream. In a bowl, sieve together the two flours. Add the yeast, half the milk and the egg, and whisk until smooth. Add the rest of the milk and the salt and continue whisking, making sure there aren't any lumps. Cover the bowl with a damp kitchen towel (or a shower cap) and leave to rise for 1 hour in a warm place. On high heat, melt the butter and oil in a saucepan. 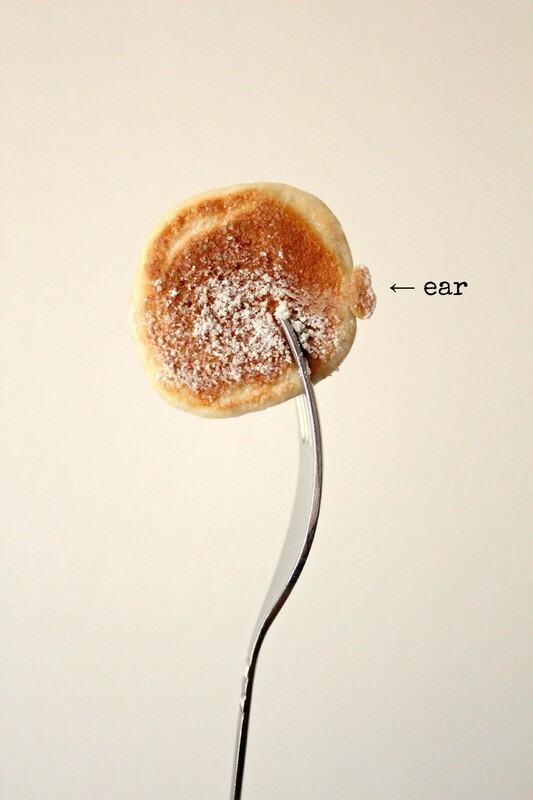 With a teaspoon, put the batter in the saucepan to make 4 cm-diameter pancakes. Serve warm with a little butter and plenty of icing sugar.